Growing your own fruit is both fun and thrifty. Not only does a fruit tree in the backyard give you fresh fruit to enjoy, but it can also help save money at the grocery store. The problem is that many fruit trees need full sun and if you have a shady yard, it can be difficult to find fruit-bearing plants. are a common obstacle for homeowners. While the majority of fruit trees may not tolerate shady growing conditions, plenty of other fruiting plants will. Blueberries: Most blueberry bushes require full sun, but lowbush blueberries will tolerate partial shade. This is also a cold-tolerant variety and can be grown in Zones 3-6. Currants: The small berries of red and black currant shrubs are delicious in jams and other foods. Some varieties of the shrub will tolerate partial sun or moderate shade. Elderberries: An elderberry shrub can thrive in partial shade and produce fragrant (and edible) flowers along with dark purple berries that can be used in wines, jams, and even a homemade flu remedy. Gooseberries: Use the gooseberry bramble for its fruit and as a hedging for privacy in your shady yard. Like raspberries, they do spread but their sweet fruits are worth it. Hardy Kiwi: It is possible to grow kiwi in the northern regions if you choose the hardy kiwi plant. This vine requires a trellis and can tolerate partial shade, but does enjoy a bit of sun. Juneberries: Birds love the juneberry (or serviceberry) trees and shrubs that produce some fruit (sometimes called 'small apples'). This is another fruit for those who love canning their own jams and jellies. Lingonberries: A popular wild berry in Scandinavia, the lingonberry is a delicious fruit. The low, evergreen shrubs are a nice addition to a garden and if it can grow in Scandinavian forests, it just might work in your shady yard. Mulberries: The mulberry tree thrives in the eastern hills of the U.S. and is tolerant to both shade and cold temperatures. Do be careful because the fruits are plentiful but known to make a mess on the ground. A non-fruiting mulberry is recommended more often for landscaping. Muscadines: If you live in the South, you know the muscadine (or scuppernong) is a native American grape that makes a great pie and a fun wine. These vines will require a trellis and the more sun you can give them, the more fruits you will get. Raspberries: Picking fresh raspberries is a highlight of summer and can save a lot of money. They are very easy to grow and will tolerate partial shade. However, these brambles are notorious for running and can get out of control quickly. 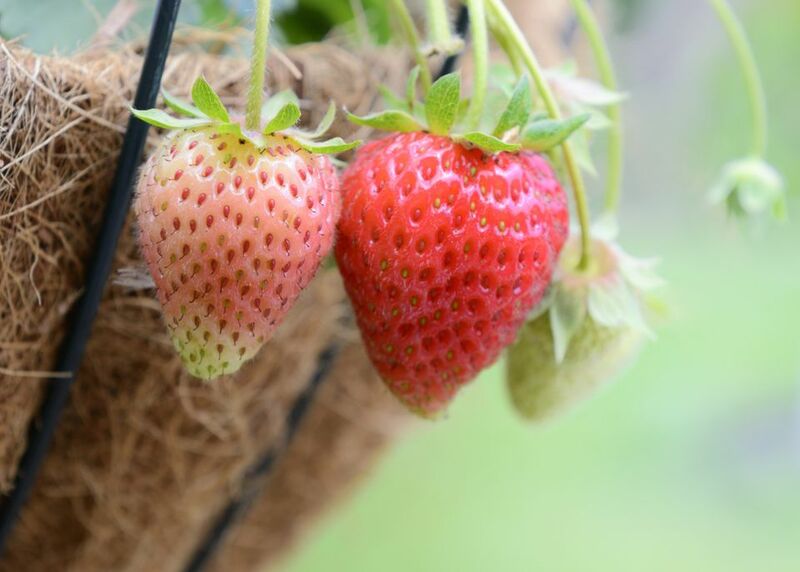 Strawberries: Most gardening advice says that strawberries need full sun but many gardeners know from personal experience that they can do well in the shade. It is worth trying and who knows, you may be one of the lucky few! Many of the fruits on the list grow on vines or brambles and this means that they will spread. Grow them in an area where you don't mind them taking over or plant them in a container to limit their growth. Some of the fruits listed may not be suitable for your area. Research any varieties you're considering before purchasing or go to your local nursery for advice.